Oklahoma law requires all drivers to insure their registered vehicles. This helps vehicle owners cover the costs resulting from car accidents. Read more about Oklahoma car insurance requirements, rates, programs and discounts. Collision – Insurance that helps pay for damages to your car in the event of traffic accident. 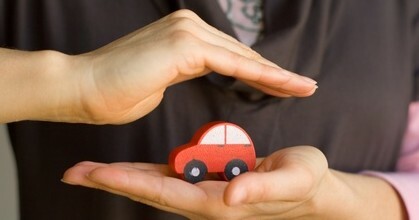 Comprehensive – Insurance coverage that helps you cover damages to your car if you are involved in any type of accident. Uninsured motorist – Covers your costs if you are hit by a driver who is uninsured. NOTE: Oklahoma car insurance laws do not require you to purchase Collision or comprehensive coverages. However, these two insurance policies are required if you intend to purchase your car through a lease agreement or car loan. The duration of your policy. Note: You must surrender a copy of your proof of insurance when you are registering your car. You should keep another copy with you every time you are on the road. The State uses an electronic database to monitor or verify the status of all registered cars’ insurances. All car insurance companies in this state must report car insurance status to be included in the database. If the database shows that your car is not insured, you will be notified and told to comply with Oklahoma’s car insurance requirements. While all registered vehicles in this state must have the required insurance cover. You will find most car insurance companies refusing coverage when they feel like you are a high-risk driver. If you are denied for coverage by individual insurance companies, you can apply for it through Oklahoma’s Automobile Insurance Plan. For more information about this plan, contact the hotline (405) 842-0844. Oklahoma Insurance Department is the body that is mandated to handle issues related to car insurances such as fraud and complaints. If you have a dispute with your insurance company, you can get in touch with OID to get it resolved. You can submit a complaint with the Department online, by mail or fax. Complete the Request for Assistance form and send it to OID by mail or fax it to (405) 521-6652. You are also required to submit supporting documentation. When you submit a complaint, remember to fill all the required information. By filling Anti-Fraud Unit Complaint Form and sending it to the address listed on the form. These discounts can save you a lot of money, but the best way to obtain cheap insurance for your car is by maintaining a clean driving record.